There are some truly divine restaurants in Cruz Bay and across all of St. John. If you’re looking for a delicious dining experience after a long day at the beach, enjoy our selections. 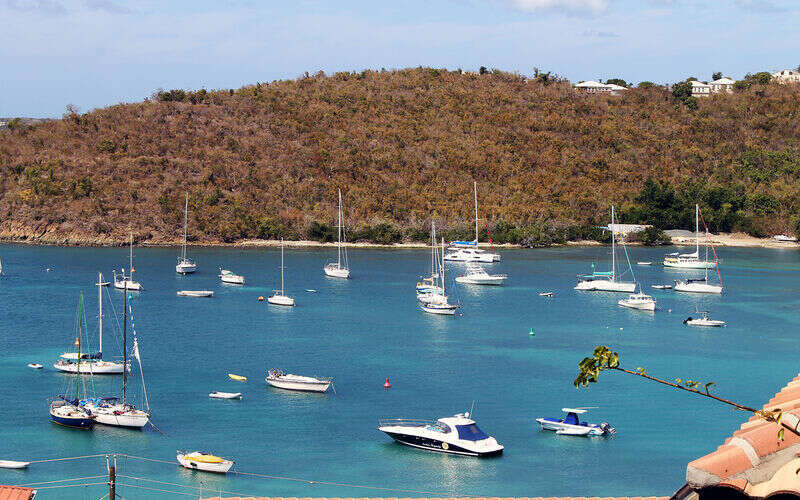 Here at CimmaronStJohn, we seek to create the best possible experience for you during your vacation. That means we will coordinate tours, suggest the best dining locations, and recommend our favorite places to visit on the island. Then, once you arrive in paradise, you will know some of the best things to do! We’ll start with a list of some of the best restaurants in Cruz Bay. Restaurants in Cruz Bay St. John would not be complete without La Tapa. This Mediterranean mixed with Northern European cuisine delivers a more intimate atmosphere with a variety of delectable tapas. There are also some mouthwatering appetizers and entrees for a full meal that will keep you satisfied. Start off with a fine cheese board or rosemary tempura fried eggplant with a honey drizzle. Then, enjoy a lobster bisque, crispy veal sweetbread, or seared local yellowfin tuna with an avocado mousse. Follow up your meal with a chocolate hazelnut truffle cake, apricot raspberry bread pudding, or selection of fresh fruit and sorbets! Many restaurants in Cruz Bay are dedicated to using locally grown and sourced products, but Extra Virgin Bistro takes this to the next level. This restaurant grows most of its herbs on site and buys most of its fish from local fishermen with their names printed on the menu next to the fish they provided that day! It’s quite a personal touch to your sure-to-be-delicious meal! Begin your evening with a craft cocktail, such as an Old San Juan with spiced rums, pineapple syrup, and shaved nutmeg. Then, enjoy some crispy potato gnocchi or lump crab cakes for your appetizer. The main course includes the truly indulgent Surf & Turf with filet mignon, butter poached Caribbean lobster tail, mashed potatoes, asparagus, and bordelaise. The Terrace Restaurant in St. John blends classic French techniques and local ingredients at a breathtaking waterfront location. Enjoy happy hour at the bar from 4:30-6:30pm daily, featuring fresh raw oysters on the half-shell along with other food and wine specials. For a romantic dinner in a beautiful setting, start off the evening with baked escargots or duck confit ravioli. For your main course, select from a rack of lamb, vegetable and herb risotto, pan-roasted Wahoo, or sauteed Mahi Mahi. Then, indulge your palate with an earl grey bittersweet chocolate pot de creme, chevre cheesecake, or lemon tart. There are many other wonderful restaurants in Cruz Bay to select from as well. No matter what you choose for your St. John dining experience, be sure to end your night with CimmaronStJohn. Enjoy the magnificent views of our Cruz Bay vacation homes as the sun melts into the horizon. Then, curl up in your master bed before waking up in paradise for more wonderful adventures the next morning. From our 2-bedroom Rainbows End Condo to magnificent 6-bedroom Friendship Villa, you will enjoy a luxurious stay in St. John!